We invite you to spent christmas eve with family and friends and listen to the contemplative sounds of the Berlin Residence Orchestra in the opulently decorated Great Orangery. Under concertmaster Vladi Corda, magical winter dreams of music will come to life. In addition to Bach’s Christmas Oratorio, Corelli’s “Fatto per la notte di Natale ” will sound through the vast halls. 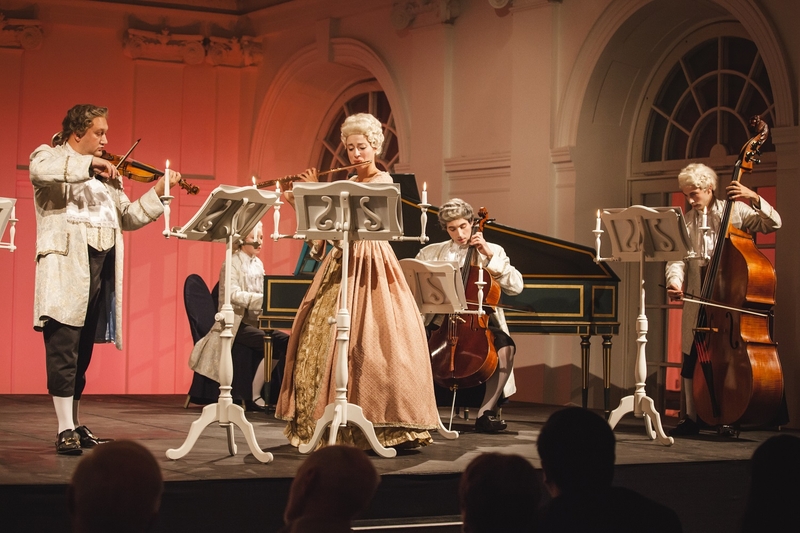 In combination with the baroque atmosphere of Charlottenburg Palace, a unique christmas experience awaits you and your loved ones. To embellish the true spirit of this most special time of the year, our guests are invited to join the ensemble in singing christmas carols towards the end of the concert. As a christmas party mustn’t lack palatal treats as well, our partner Catering by Marriott will prepare an enticing dinner before the concert. A traditional christmas goose will be the main dish of the three-course menu in the festively decorated west wing of the Great Orangery. The name of the dessert called “Domino Stones in their Ingredients” is more than a mere metaphor for the joyous effect that will be triggered upon the visitation of this special event.